Discover the possibilities offered by Dr. Sylvia Christian. At Granite Family Dentistry, we have a standard of excellence in personalized dental care, enabling us to provide the quality dental services that our patients deserve. We provide comprehensive treatment planning and different procedures, using restorative and cosmetic dentistry to achieve your optimal dental health. Should a dental emergency occur, we make every effort to see and care for you as soon as possible. 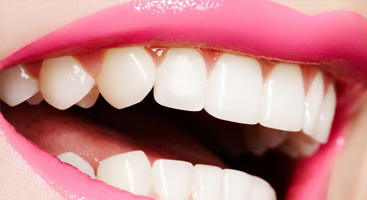 Our team consists of knowledgeable professionals, ready to make your smile better and brighter. Serving Greater Concord and Manchester Areas! Excellent work, professional, friendly! Dr. Christian and staff are excellent! They are always friendly and make you feel comfortable - even during the not-so-fun procedures! I appreciate Dr. Christian's conservative point of view - if something is not broken, but slightly amiss - she treats with care and watches the issue diligently. She doesn't rush in to do all the most complicated (& expensive) procedures right away. She applies her knowledge and experience with wisdom. I trust her judgement. She has provided fantastic care to me and my family for many years now. I highly recommend Dr. Christian and her staff! -- Dede P.